Friuli–Venezia Giulia (Friulian: , Slovene: , German: ) is one of the 20 regions of Italy, and one of five autonomous regions with special statute. The capital is Trieste. It has an area of 7,858 km² and about 1.2 million inhabitants. A natural opening to the sea for many Central European countries, the region is traversed by the major transport routes between the east and west of southern Europe. It encompasses the historical-geographical region of Friuli and a small portion of the historical region of Venezia Giulia (known in English also as Julian March), each with its own distinct history, traditions and identity. The name of the region was spelled Friuli–Venezia Giulia until 2001, when, in connection with a modification of article nr. 116 of the Italian constitution, the official spelling Friuli Venezia Giulia was adopted. Friuli Venezia Giulia is Italys most North-Eastern region. It covers an area of 7,858 km2 and is the fifth smallest region of the country. It borders Austria to the north and Slovenia to the east. To the south it faces the Adriatic Sea and to the west its internal border is with the Veneto region. Morphologically the region can be subdivided into four main areas. The mountainous area in the north: this part of the region includes Carnia and the ending section of the Alps (Carnic Alps and Julian Alps), of which the highest peaks exceed 2,700 m above sea level (Jôf di Montasio 2,754 m.). Its landscapes are characterised by vast pine forests and pastures, mountain lakes (e.g. Sauris,Fusine and Barcis) and numerous streams and small rivers descending from the mountains. The area is also known for its tourist destinations, especially during the winter season (Monte Zoncolan, Tarvisio, Sella Nevea, Forni di Sopra and Piancavallo). The hilly area, situated to the south of the mountains and along the central section of the border with Slovenia. The main product of agriculture in this area is wine, whose quality, especially the white, is known worldwide. The easternmost part of the hilly area is also known as Slavia Friulana, as it is mostly inhabited by ethnic Slovenes. The central plains are characterised by poor, arid and permeable soil. The soil has been made fertile with an extensive irrigation system and through the adoption of modern intensive farming techniques. In this part of the region most of the agricultural activities are concentrated. The coastal area can be further subdivided in two, western-eastern, subsections separated by the river Isonzos estuary. To the west, the coast is shallow and sandy, with numerous tourist resorts and the lagoons of Grado and Marano Lagunare. To the east, the coastline rises into cliffs, where the Kras plateau meets the Adriatic, all the way to Trieste and Muggia on the border with Slovenia. The Carso has geological features and phenomena such as hollows, cave networks and underground rivers, which extend inland in the provinces of Trieste and Gorizia, with an altitude ranging between 300m and 600m. The rivers of the region flow from the North and from Slovenia into the Adriatic. The two main rivers are the Tagliamento, which flows west-east in its upper part in the Carnic Alps and then bends into a north-south flow that separates the Julian Alps from Alpine foothills and the Isonzo (So?a slo.) which flows from Slovenia into Italy. The Timavo is an underground river that flows for 38 km from Slovenia and resurfaces near its mouth north-west of Duino. The region Friuli Venezia Giulia has a temperate climate. However, due to the terrains diversity, it varies considerably from one area to another. Walled by the Alps on its northern flank, the region is exposed to air masses from the East and the West. The region receives also the southerly Scirocco from the Adriatic sea, which brings in heavy rainfall. Along the coast the climate is mild and pleasant. Trieste records the smallest temperature differences between winter and summer and between day and night. The climate is Alpine-continental in the mountainous areas, where, in some locations, the coldest winter temperatures in Italy can often be found. The Kras plateau has its own weather and climate, influenced, mostly during autumn and winter, by masses of cold air coming from the North-East. 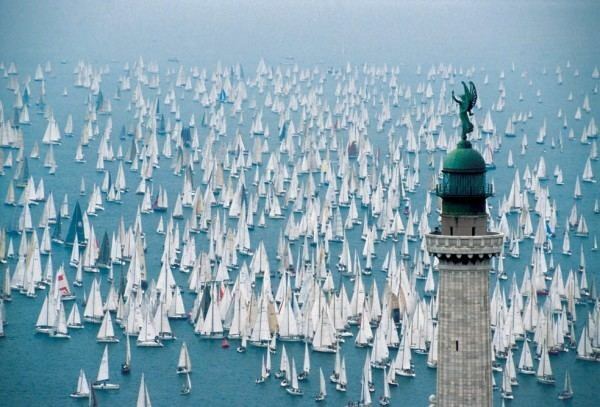 These generate a very special feature of the local climate: the north-easterly wind Bora, which blows over the Gulf of Trieste with gusts occasionally exceeding speeds of 150 km/h. The Second World War led to the Anglo-American Administration in Trieste until the border was fixed with the Memorandum of London in 1954. When Trieste was reunited with Italy, the Autonomous Region of Friuli Venezia Giulia could finally be established. The Italian Constitution assigns it the status of Region with a Special Statute, together with four other Italian regions. However, Friuli – Venezia Giulia obtained administrative autonomy and the special statute only in 1963. The reasons for this "constitutional delay" are interwoven with the international problems of the second postwar period and with those deriving from the region’s "diversity" – the different historical, ethnic, and linguistic components that go to make up this area. In 1975 the Treaty of Osimo was signed in Osimo, definitively dividing the former Free Territory of Trieste between Italy and Yugoslavia. 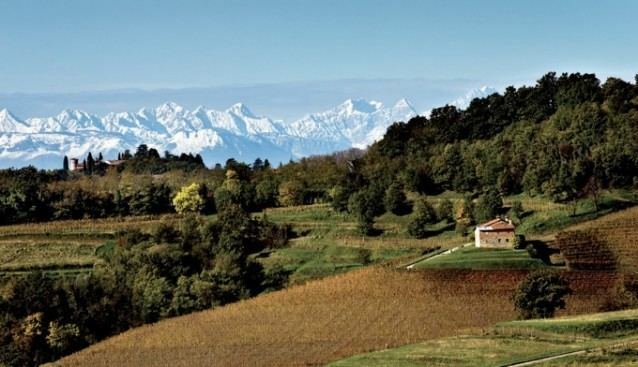 The economy of Friuli–Venezia Giulia is one of the most developed in the country. Its core is based on small- and middle-size enterprises (the so-called North-East model), on specialized farming and on high-quality tourism with a significant inclination towards exports. In the provinces of Udine, Gorizia and Trieste, a number of Slovene dialects are spoken along the border with Slovenia. Slovene is especially present in the mountainous areas of eastern Friuli, in the area known as Venetian Slovenia (which comprises the Resia Valley and in the upper valleys of the rivers Torre and Natisone), in the villages north and south of Gorizia and on the Carso plateau around Trieste. A small Carinthian Slovene community also exists in the Val Canale on the border with Austria, in the municipalities of Malborghetto Valbruna and Tarvisio. In the Province of Udine, Slovene has only been officially recognized as a minority language since 2001, and there are few bilingual public schools, mostly located in the southern area, close to the Province of Gorizia. In the provinces of Gorizia and Trieste, on the other hand, Slovene has enjoyed minority protection rights since the mid-1940s, including a widespread network of Slovene language schools and cultural associations. In the Province of Udine, most Slovene speakers live in a diglossic situation, with a knowledge of the local Slovene dialect and standard Italian, but with a poor knowledge of standard Slovene. In the Provinces of Trieste and Gorizia, on the other hand, the knowledge of standard Slovene is much more common, and in some areas it is predominant over the use of dialects. Estimates on the Slovenes in the region vary greatly, from 52,000 up to 183,000. Most probably, the actual number of Slovene speakers is somewhere between 70,000 and 85,000, that is between 5,5% and 7% of the regions population. The number of native German speakers in Friuli–Venezia Giulia is estimated to be around 2,000. They live in the Val Canale (municipalities of Tarvisio, Malborghetto Valbruna and Pontebba), which is adjacent to Austria, and in the municipality of Sauris and the frazione of Timau (Tischlbong in the local Germanic language) (municipality of Paluzza), which each form a language exclave.